I hold up Blackhead as an example of where the Anglican church has screwed up big time. That boy is truly buggered - emotionally, mentally and spiritually. And do you have a shred of evidence beyond your bigoted hatred? Guaranteed that makes him correct. The Public Prosecutor in France is desperately trying to characterize the ND blaze as workplace accident rather than arson, presumably to maintain peace in the community of Paris. This despite protestations from the work crews that they used intensive safety precautions, including disconnecting all electricity to the site, when they left for the evening. AND despite the fact that this happened very quickly after the last tourists left the building. AND most importantly after a swath of Church arsons in France, including at the Church of Saint-Sulpice which caused 100's of millions in damage. I think the most likely cause of this was arson by a very sophisticated arsonist or group of arsonists. That means all of France's Cathedrals and Churches are under imminent threat and the French Police have to put some priority on protecting them and apprehending the culprits. THE fire at Notre Dame Cathedral was horrible to watch and a tragedy for France. 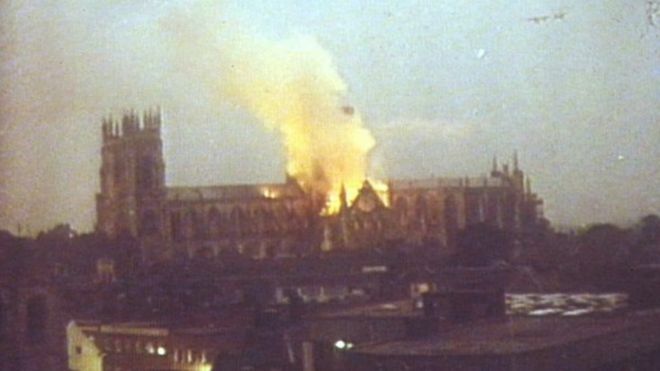 That’s the medieval Christian heritage of the country going up in smoke – and we should all be pleased that the damage wasn’t even worse. But the French authorities don’t seem terribly curious about what caused the blaze. Within about ten minutes they had told everyone it was probably caused by a cigarette. How did they know? And that it wasn’t arson. And I wonder if we will even find out? Last edited by Blackleaf; 1 day ago at 10:32 AM..
And don't forget the church bombings in Sri Lanka. Rod Liddle is a Brit hate monger. That's his schtick. You haven't thought foggiest notion what "normal" is or where to find it. Tu n'as aucune idée, flocon de neige? You think I was born last night Snow flake? Hey! You got yer stutter on early tonight! It was the best google translate could do. AI is only as smart as the person asking the questions. 875 churches were vandalized in France in 2018. Push back for all the pedophilia? Not to mention full of sh*t! NO compensation that way, so my guess is no. Do you remember how a while back the Jewsish grave yards were tossed over...? who got busted for doing that? Doing research for a book, Hate Crime Hoax, I was able to easily put together a data set of 409 confirmed hate hoaxes. An overlapping but substantially different list of 348 hoaxes exists at fakehatecrimes.org, and researcher Laird Wilcox put together another list of at least 300 in his still-contemporary book Crying Wolf. Last edited by Danbones; 3 hours ago at 06:57 AM..